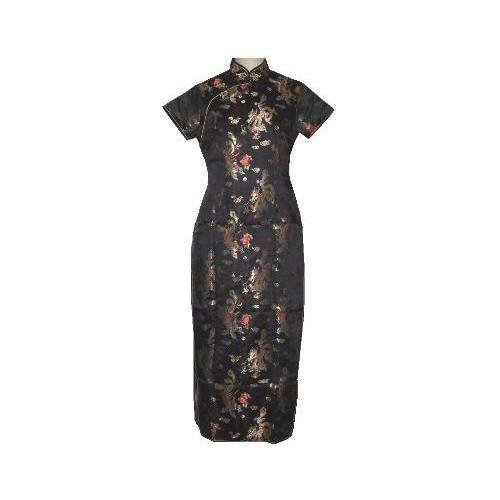 Long length black Chinese dress with silk brocade oriental patterns. 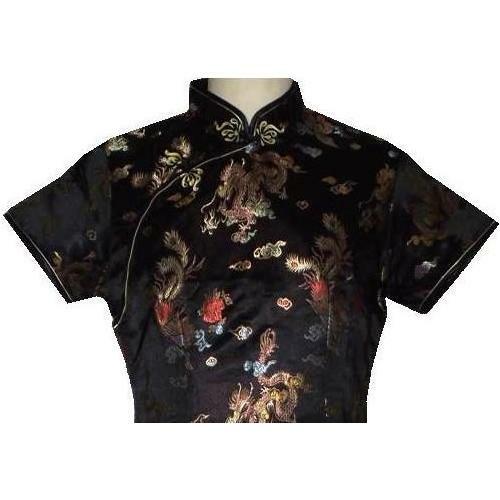 A full length Chinese dress with a stylish mandarin collar, floral frog fastenings, short length sleeves, and attractive side slits. 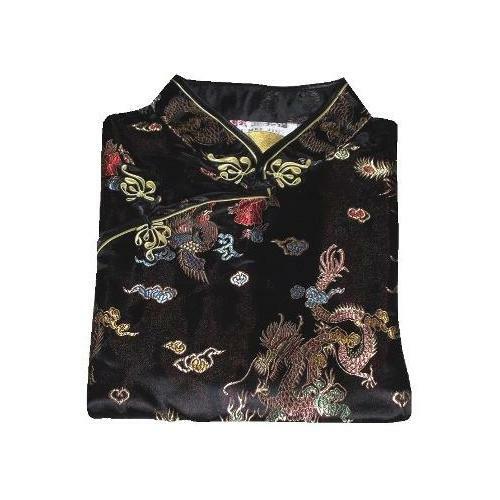 The full length Chinese dress has a dragon and phoenix pattern made from silk brocade threads. We recommend dry clean only for this garment.